The people of Huntsville recently decided to delve into the possibility of deploying a fiber network. According to AL.com, the City Council approved funding for a feasibility study to look at ways to better use existing fiber assets. Huntsville, with 180,000 people is located in Madison County in the extreme north central region of the state. The county seat, known for generations as a cotton producer, later became known as "The Rocket City." In the 1950s, the U.S. army developed missiles at its facilities there, setting the stage for our space program. 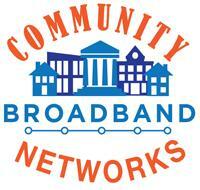 A recent unscientific poll by AL.com revealed that a countywide high-speed network is a high priority for locals. The online poll suggested potential projects for the community; 40% of respondents ranked a network at the top of the list. Huntsville Utilities offers electric, water, and gas services to the community. The municipal utility owns a small amount of fiber for its own data purposes. At this point, local leaders want the study to focus on the possibility of expanding that network to serve the business community. Battle called high-speed fiber "the infrastructure of the future" and said it will eventually be as important as roads, water and sewer lines.